I have yet to spot any spring produce at my local market. The weather forecast for the weekend is promising, but until I find Quebec asparagus or rhubarb, I'm relying on familiar foods and flavours. 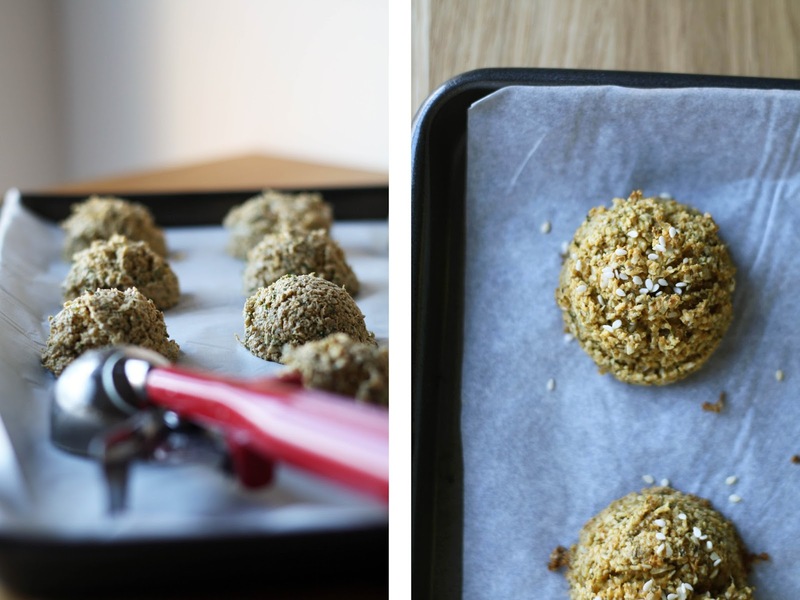 These falafels fall into that category. They have a familiar baked falafel texture, but a unique, subtle flavouring from the sunflower seeds. Jazzed up with vibrant pickled turnips and fresh chimichurri, they make for one hell of a lunch (or dinner). 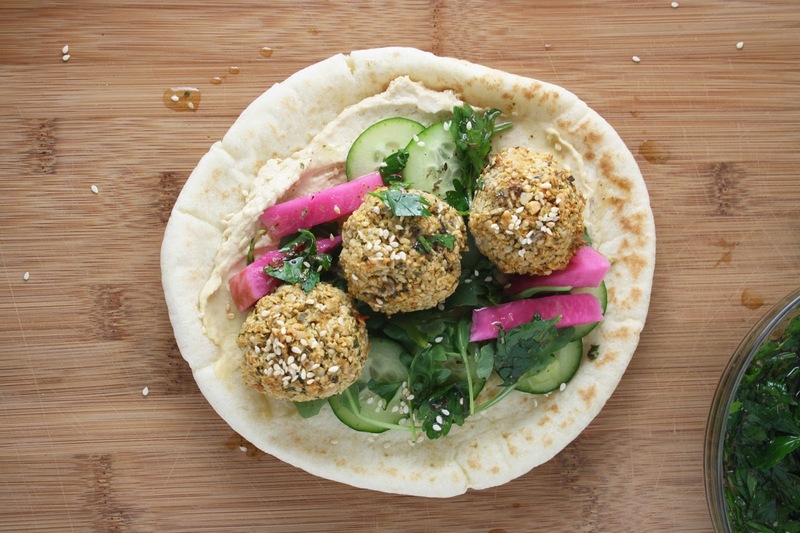 Give me all the pita, hummus and falafels. Always. 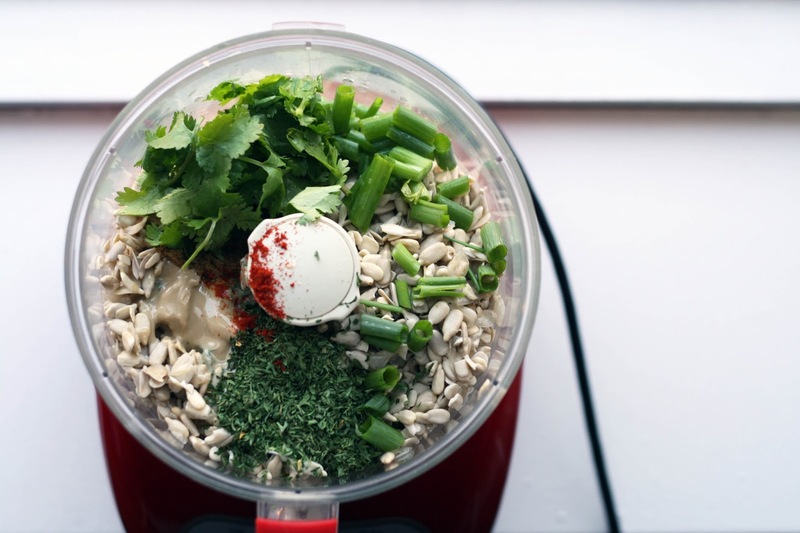 Set up your food processor fitted with the s-blade. Place all the ingredients, except the flour, in the food processor, and pulse until combined. Scrape down the sides and add the flour, pulse a few more times, until evenly combined and almost smooth. Using an ice cream scoop, or your hands, form ping-pong sized balls. Place them on a parchment lined baking sheet, about 2 inches apart. Using a brush or your fingers, generously coat the tops (and sides) with olive oil. Sprinkle with sesame seeds. Bake for 20-25 minutes until golden and crispy on top. 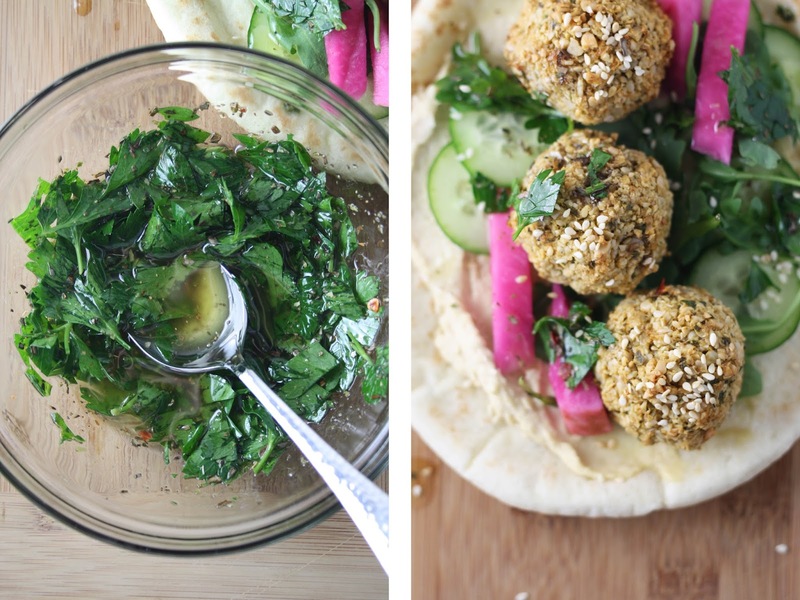 While the falafels are baking, make the chimichurri. Whisk all the ingredients together in a small bowl, and set aside. To serve, slather the pita with hummus. Then add the veggies, 2-3 falafels and a generous spoonful of chimichurri. Enjoy!